Careers in Agriculture and Forestry make up one of the largest industries and sources of long-term employment in the country, providing jobs for millions of Americans. These careers supply us with a multitude of food products and alternative energies, among many other important resources for sustaining our country and contribution to the world economy. In addition, these careers - particularly those associated with Forestry - conserve our natural resources and assure we have bountiful supplies of land to utilize in the future. Many of the careers in the Agriculture and Forestry industry are considered “Green Careers,” meaning that the careers are involved in preserving or protecting our environmental resources. It is recommended that those seeking a career in Agriculture and Forestry enjoy working outdoors and/or working with animals. 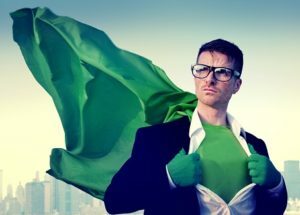 The ability to work independently in potentially isolating environments is also a good trait to possess, as certain careers requiring fieldwork may place employees away from their homes and families for extended periods of time. It's also important to know that some of these jobs are physically demanding and can be dangerous, depending on what kind of heavy equipment you're required to use and what weather conditions you're required to work in. Aversion to hard labor is not recommended for those wishing to break into the Agriculture and Forestry industry. The job outlook on careers in Agriculture and Forestry vary. The Department of Labor projects that Agricultural careers are on the decline overall, mostly in regards to self-employed farmers and ranchers. Many careers in forestry are projected to expand, though this growth is slower than average. Use the search box below to find all the agriculturalist and forester job listings in our job board. Search available environmental jobs now! There are many different career options in the Agriculture and Forestry industry, ranging from more manual labor-oriented positions to advanced scientific careers that require a great deal of education. Search and compare the salaries of various environmental science careers around the United States by city and state. All salary data is sourced from BLS.gov. From the 1940s through the 1960s, advances in agriculture made the “green revolution” of highly efficient food production possible. Farmers have been doing more with less ever since. Today, with farmland disappearing and world population projected to rise to at least 9 billion by 2050, hard questions are being asked about where the world’s food supply will come from. Sustainable farming practices will be essential in the coming decades. 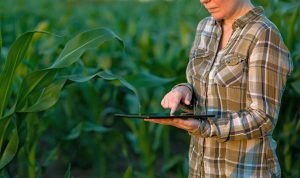 Agricultural engineers are working on sustainable solutions to these and other 21st Century challenges, and opportunities in this field are growing. Agricultural and Food Scientists are responsible for ensuring that the United States is producing enough food and that this food is safe for human consumption. They typically do this by performing experiments, analyzing data, and conducting fieldwork at farms or food production facilities. Some may even manage entire teams of researchers on larger projects. Though these scientists spend most of their time in laboratories and offices, fieldwork may require exposure to the elements outdoors or to noisy industrial environments. Increasing demand for large food outputs will continue to create jobs in this field for years to come. Though all Agricultural and Food Scientists must have a bachelor’s degree from a land-grant university, many also have master’s or doctorate degrees. Agricultural Inspectors monitor food production facilities and the equipment used in these facilities, ensuring that everything is working in-line with local, state, and federal regulations. When they discover imperfections they are required to take action and assure that the proper actions are taken to repair the issue. Agricultural Inspectors are essential to keeping our food supply safe for consumption. The majority of Agricultural Inspectors work for federal and state governments, though others may work for private processing plants or larger farms. This career track requires only a high school diploma, though an associate’s or bachelor’s degree in agricultural science, biology, or other related field can be useful and result in higher pay. Agricultural managers are, in essence, business-savvy aids for farmers. Most prevalently, they are responsible for overseeing the development of crops, animals or other items that may be sold from agricultural entities. The scale at which they work can vary from large, industrialized farms down to smaller farms that are privately owned but may need some extra guidance in developing. Typically, agricultural managers are most involved with the business side of things, trying to maximize profit for the farm. Some common responsibilities may include: planning crop rotations, developing budgets, hiring personnel, maintaining farm equipment or maintaining budgets. The duties often will split an agricultural manager’s time between residing within an office and supervising the outdoor activities. Oftentimes, agricultural managers can learn the skills they need through working on a family or local farm, but it has become more common to receive formal training as of late. Relevant degrees that prepare individuals include, but are not limited to, farm management, agricultural economics or dairy science. 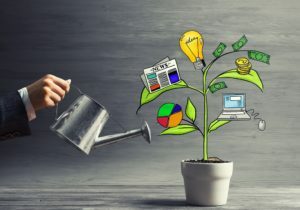 A strong understanding of both the biology/ecology of the systems that you are working with and the economics of business markets is required to ensure a productive and financially solvent agricultural system. 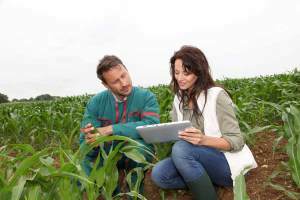 Although working in agriculture can be daunting, the position of agricultural manager is an increasingly important one as farmers strongly need to keep their business competitive. 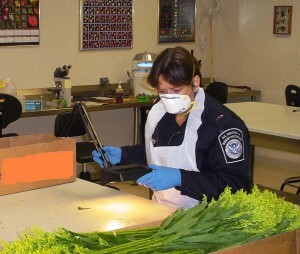 Agricultural Specialists are essential to border protection, ensuring that the U.S.' crops are not in danger of infection from abnormal or illegal crop imports. Agricultural Specialists identify and eradicate potentially invasive crops, menacing pests, or other factors may threaten the integrity of the American agricultural industry. They are a key component to maintaining a healthy food supply, as well as a thriving economy. Agricultural Specialists mostly work for the federal government at border posts, seaports, and other areas that examine incoming cargo. Their pay grade is often determined by education level, as well as previous experience in an agricultural or pest control field. 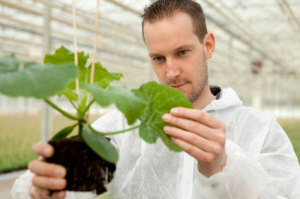 Agronomists focus on the growth and production of plants for practical use, especially food. They typically employ critical thinking skills to perform scientific experience and innovation to determine cutting edge ways to enhance our crop production. This career is quite important in a growing world population that demands more plant products than ever before. Aquatic Ecologists are qualified ecologists that study and research the environments of water bodies and landscapes including streams and rivers, ponds and lakes, and wetlands such as marshes and floodplains. They study the relationship(s) between all forms of life within the ecological zone, and the relationship between the soil and geology and life forms. Particularly, they will look at the balance in nature and examine the impacts of anything that “upsets” the delicate balance – invasive species, removal of a predator or a boom or collapse in a population within the environment. If left to their own devices, trees and bushes would overrun much of our public infrastructure in short order, breaking up sidewalks and roads, toppling power lines, and choking storm drains. Arborists perform a vital service by protecting our public works through pruning and trimming. 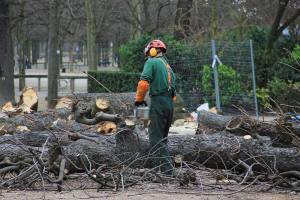 Arborists spend the majority of their time outdoors. If you’re physically active, like doing-hands-on work, and prefer the outdoors to office life, a career as an arborist may be for you. A beekeeper is a type of agricultural worker who keeps bees, caring for, promoting and maintaining hives. This is usually on a commercial scale for the mass production of honey, wax and other bee-related derivatives. 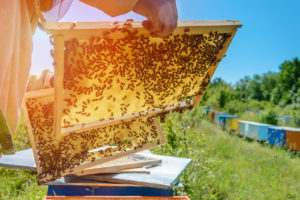 Beekeeping is a specialist area requiring training in the care, promotion and production, but some beekeepers opt to work in research and cross-breeding due to ongoing ecological problems with bee stocks. Record keeping, monitoring and ecological health are also sometimes within the remit of a professional beekeeper. Botany, or “the study of plants,” encompasses a vast area of work. Plants are the primary producers of the world, capturing energy from sunlight and converting it into carbohydrates that are usable by all other organisms on the planet. As such, plants are hugely important. Botanists commonly work at both the “individual” level and the wider “community” level. At the individual level, botanists may study the phylogeny (structure) of plants, systems to maximize their growth, or how they convert one chemical compound to another. At the community level, the work of a botanist resembles an ecologist and may include looking at how plants interact with one another, how they moderate the type of ecosystem present in a given area, competition between given species, or how crops may interact in a given agricultural system. 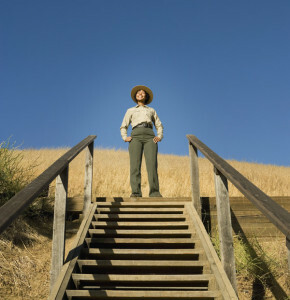 It is common for botanists’ work to span a number of different career paths, often working in conjunction with ecologists, agricultural managers, wildlife managers, or soil and plant scientists. Due to the fact that plants provide a vast number of our day-to-day necessities – including medicines, foods, fibers, building materials and environmental quality (e.g. air quality, natural aesthetics) – the role of a botanist is a fascinating one. 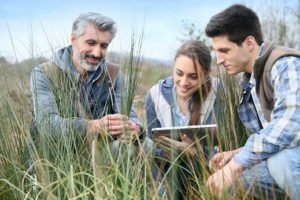 Botanists are most marketable when they work in an applied plant science, which allows them to employ their strong understanding of plants to a smaller sector such as forestry, food science and technology, or natural resource management. A Conservation Planner is a person who compiles reports on areas of environmental or scientific interest. They will examine pockets of land for important natural resources or those that are ecologically fragile. They will work in the field and at desks compiling reports for interested parties. They may work with government to designate areas for protection, advise on actions to protect wildlife or pass areas as clear for development. Essentially, their role is to determine the utility of a packet of land and to develop strategies for managing land that requires protection. 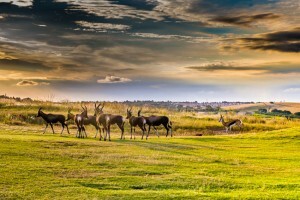 “Conservationist” is a generic term covering anybody who works in the protection of protected landscapes and scientifically significant areas, protected buildings and monuments, nationally and internationally important artefacts and globally recognized heritage, and in the protection of wildlife species. Therefore conservationists will work in a specialization – archaeological, biological, environmental and so on rather than with the generic term. Regardless of their specialization, they are involved in protection and promotion of their core area. Endangered Species Biologists are a type of biologist that works preserving, researching and promoting conservation of species that are at threat. They examine these living things – animal or plant, and their ecosystems, to understand why they are threatened and what (if anything) may be done to remedy it. They are effectively trained biologists, but have trained in a specialized area during their studies. Where most biologists may include study of extinct species, endangered species specialists are concerned only with living systems. Fisheries Biologists are a type of biologist that work with bodies of water that have extant fish stocks. These can be artificial reservoirs and hatcheries, or natural streams, rivers and lakes, or the open ocean. They study fish and the various bodies of water, mostly for the purpose of conservation of those fish stocks and ecological health. 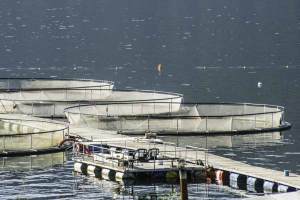 They are tasked with taking action to maintain fish populations, either as a food supply or for the wider environmental benefit. 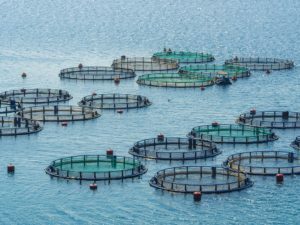 Fishery Managers oversee the activities and workers in fisheries, industrial aquaculture farms that provide artificially raised seafood to markets and grocery stores throughout the United States. Aside from performing normal management tasks like scheduling and training workers, Fishery Managers monitor that health of the stock, treat any issues or diseases that may arise, and coordinate fish harvests. Though small farming industries, including fisheries, are declining overall, fishery managers may be in a better position if they attempt to fill a position at a corporate fishery or smaller fishery that has filled a niche market. A Bachelor’s Degree and significant experience working in fisheries helps earn a Fishery Management positions. While according to Smokey the Bear, “only you can prevent wildfires,” the USDA Forest Service also employs forest workers in various capacities to help prevent and manage fires. These workers spend most of their time outdoors in some of the most beautiful, pristine wooded areas of the country, helping protect them, their wild residents, and people from the ravages of uncontrolled fire. Forest Health Specialists work alongside other forest employees to preserve the health of individual trees, woodlands, copses, forest wildernesses and urban green spaces where there may be trees. Unlike foresters, they will spend time in offices working with plans, maps and GIS systems. 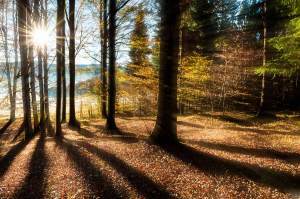 Some may be required to have knowledge of laws on woodland protection. They are part scientists, part researcher, part fieldworker and part communicator. Trees are much more than just decorative - they clean our air, prevent erosion, provide wildlife habitat, and supply us with lumber and paper. Forest rangers help protect these vital remaining forestlands, managing them for multiple ecologic, recreational, and economic uses. Most forest rangers find it to be very satisfying work. If you enjoy nature and prefer an active outdoor lifestyle to working in an office,becoming a forest ranger may be a very rewarding career choice. Are you a hiker or camper? Do you like spending time outdoors? 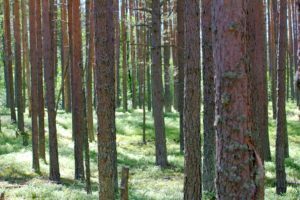 With natural areas disappearing, forestry is a good way to make nature and outdoor activity are part of your daily life, rather than a weekend splurge. The importance of horticulture, or the art and science of cultivating crops for human and societal needs, increases proportionally with global population growth. A career as a horticulturalist differs from that of an agricultural manager primarily through their specialization with plant cultivation. However, the duties of a horticulturalist similarly necessitate a strong understanding of business practices and economics. Typically, horticulturalists will specialize within one area of cultivation (e.g. 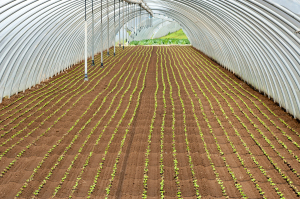 field crops, indoor growing, fruiting plants, etc. ), and will work with a large organization such as a plant nursery, supermarket, or agricultural organization. As crops are living entities subject to evolution, horticulturalists must have a strong understanding of current scientific and technology findings. New technologies that increase crop yields, help protect crops from pests, or reduce spoilage during storage and transport help to inform horticulturalists of best-management practices, and thus they must be aware of the state of the art. While horticulturalists may begin with hands-on crop cultivation in the field, they will eventually work up to supervising others at all stages of the crop supply chain. Horticulturalists may be certified through a larger organization rather than entering the field through a more traditional university-based education. One such certification exists through the American Society of Horticultural Science (ASHS), and is a four hour exam that tests the examinee’s knowledge on topics such of landscape design, production of crops, shipping and handling, monitoring and testing, and business practices. Horticulture Technicians work at ground level with plants, either in agricultural fields, greenhouses, hydroponics plant or other controlled environments to examine and promote the growth of plants. This may be for production or for research purposes, for example into pesticides or GM testing. They care for the plants, ensuring safe growth, and must understand how to plant, pollinate, water and weed. 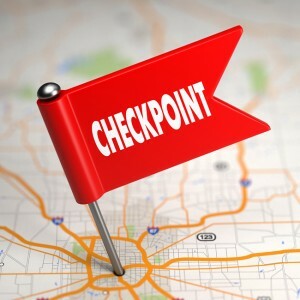 If signs of disease or pests are found, they may be required to treat them. They work in a variety of areas, but always the same services. 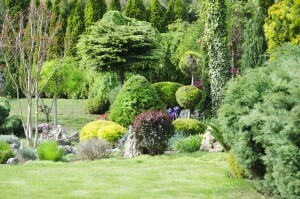 Landscapers are a type of outdoor laborer who works in parks and gardens and other green landscapes. Their role includes a number of tasks such as general maintenance, site improvement, removal of weeds and promotion of new growth. They are required to know how to use tools of the trade including leaf blowers, rakes, shovels, mattocks and more, and to do so in safety. They have a variety of titles including Groundskeepers and Ground Maintenance Workers, but are all the same thing with (sometimes) a few variations. 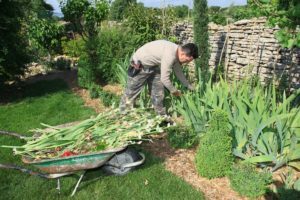 They can work in a variety of places – urban green areas, natural zones, conservation & heritage sites and even for hire as a home service. Their skills are as diverse as their workplaces. Municipal Foresters manage and care for trees in urban areas, which are commonly found along city streets and on parklands. This often requires extensive knowledge of tree care techniques and the ecology of the surrounding area. Sometimes Municipal Foresters will also work as environmental advocates in their city. Though a four-year degree is not required to become a Municipal Forester, it is recommended. Studying fields like arboriculture, horticulture, and landscape architecture can be helpful for succeeding in the position. Becoming an ISA-Certified Arborist can also increase your chances of getting a job as a Municipal Forester. 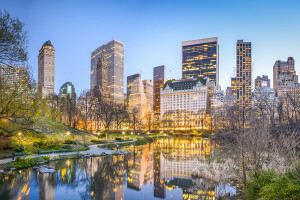 This particular occupation is expected to grow in the next few years because of the public's increasing interest in having scenic green spaces in cities. National Park Service Techs are tasked with managing the technical aspects of conserving forests, soils, forests, and other things vital to the health of National Parks. They typically find employment with the government on a local, state, or federal level. Though National Park Service Techs will typically work under the authority of a conservation scientist or higher-level forestry worker, they may spend a lot of time working alone in remote, outdoor environments. In addition, they are required to maintain National Park areas that are catered towards visitors, such as hiking trails or campsites. 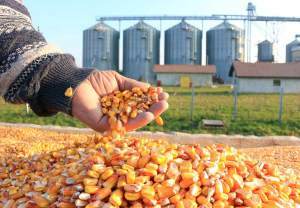 Nutrient Management Specialists collect and analyze data collected from farms and food processing plants to have a better understanding of the way our food is raised and produced. They then attempt to create pragmatic solutions to the problems facing a specific farm/plant or even the food processing industry at large. Nutrient Management Specialists are important to the increasing the production rate and quality of our national food supply, though very few Nutrient Management Specialists are actually employed by the government. Most find a home with private consulting firms or research universities. At minimum, Nutrient Management Specialists are required to have a Bachelor’s Degree, though many of them choose to pursue graduate studies and deepen their knowledge of the agricultural industry through internships. Park rangers are part of the proud tradition of preserving and protecting the beauty, culture, and history of our country for everyone. 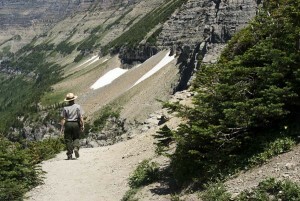 The U.S. National Park System, the first in history, has been copied around the world. Federal and state rangers spend their days in inspiring places, sharing their passion with others. While competition for these jobs is strong, there’s considerable room for advancement in this highly respected field. If you’re driven by your passion for wilderness or history and want to share it with others, you may already be dreaming about becoming one of these iconic professionals. Plant biologists are an important part of modern research science. Plants are a vital resource, sources of building materials, pharmaceuticals and many other industrial and commercial applications. It requires a large body of researchers to look into the genetics of plants to understand why certain plants have such attributes, how they benefit humanity and their importance to the ecology. Plant Ecology is a division of Ecology, a discipline concerned with examining relationships between organisms and the environments in which they live. Plant Ecology focuses on plant life – how they interact together, work together or against each other. Plant Ecologists will study such factors as invasive plant species and their impact on native plant life. This does not work in isolation as any change to a plant profile of an area will invariably affect the animal species that feed on the plants. 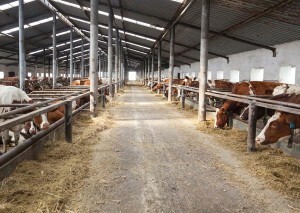 Ranch Managers supervise the establishments that raise livestock for various purposes, primarily for the production of meat and dairy products. This career track ensures that the U.S. is provided with a healthy supply of protein-rich foods. 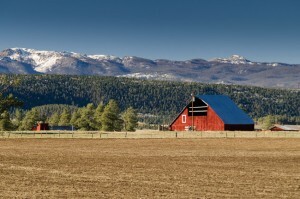 Ranch Managers often work in outdoor environments and are required to work strenuously throughout the day. Though an academic degree in agricultural or animal sciences is helpful, most Ranch Managers are able to advance to their position through hands-on work experience. This career track is seemingly in decline, but there are still many opportunities to work on smaller farms that engage with niche markets or work for larger corporate farms. 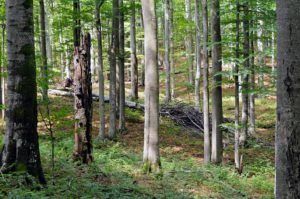 Silvicultural Research is a type of forestry that engages in the growth, cultivation and logging of trees. It is more about forest management, logging and replanting than about conservation issues. IT treats a forest as a resource for human exploitation. Therefore, Silvicultural Researchers will work to improve yields, quality and genetic sustainability of the forests that they manage. They will ensure that trees are cut down and replaced at the right time. Increasingly, they ensure that this replacement is sustainable. Soil and plant scientists’ work differs from that of botanists primarily in their focus on the chemical and physical compositions of soil. When considering the establishment of farmland, the appropriateness of planting a given crop at that geographic location largely depends on the type of soil present. Soil and plant scientists work to elucidate what soil types, and what factors within a given soil, make it the most suitable for a particular crop. Although their primary goal is to increase the food yield of agricultural farmlands around the world, soil and plant scientists also conduct research on how plants might study pollution related topics, such as how plants might be able to remediate polluted soils. 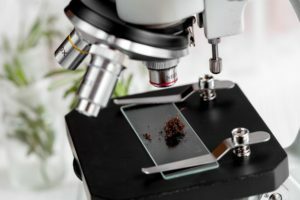 The day-to-day job duties of a soil and plant scientist can vary between collecting research samples from the field and conducting experiments in a controlled laboratory setting. One particular challenge that soil and plant scientists have been faced with in recent decades is elucidating the precipitous decline in bees, working to increase pollen yields and helping support healthy bee populations. 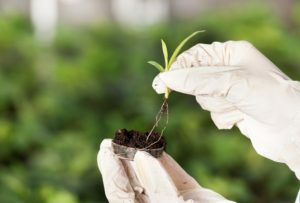 Soil and plant scientists often work in close conjunction with others involved in the agricultural sciences, such as agricultural managers and horticulturalists. 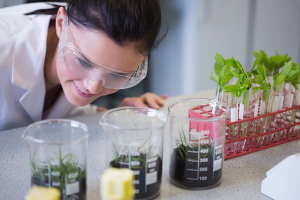 To prepare for a career as a soil and plant scientist, a strong understanding of plant-based biology, chemical cycles, hydrological cycles, and geology are necessitated. Soil Engineers are a type of Geotechnical Engineer that deals specifically in soil types and their properties. They examine soil quality, mineral content and attributes to determine its best use. Attributes may include drainage properties for development (ascertaining whether it is suitable to build on) and what other engineering requirements may need to be in place in order to ensure the best use of the land. Graduates in this area will find a number of roles and industries open to them. 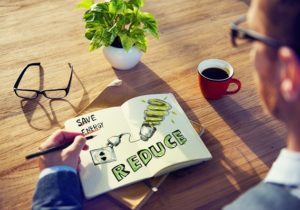 Climate change, population growth and lower precipitation means that water conservation is one of the biggest crises of our age. With severe droughts recorded in California in recent years with other parts of the country and the world under threat, we need to learn and teach the best use of water resources. 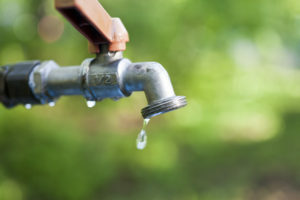 Water Conservationists work with businesses, government bodies, private land owners and others to ensure proper management of water resources for the ecology and human use. They may monitor water quality and examine how water supplies are harnessed and promoted. Water is a precious resource, especially in view of the growing problems with drought and flooding. But these issues are not the only problems that need proper handling and management. With a growing global population and the expansion of urban development, we need proper and effective management of resources and how these resources are supplied. 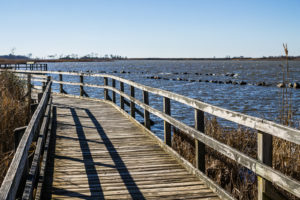 Water Management Planners look at the water-based problems in an area and attempt to promote development to alleviate problems, or simply increase capacity. Water is the world’s most vital resource – we need it to grow food, to wash in, to drink and for the majority of our industrial and commercial purposes. It is equally vital that we do what we can to maintain minimum quality standards regarding pollutants, water’s PH level and other attributes to ensure the continued safety of the ecology and improve public health. Water Quality Specialists work in the field taking samples from water bodies (typically fresh water) such as rivers, lakes and reservoirs. Wetlands are some of the most important ecological areas on the planet. Rare plants and animals come to rely on seasonal and permanent wetlands as a natural habitat. With a changing climate, some of these areas are already changing. Wetlands Biologists examine the life of wetlands (plant and animal) to ensure their continued good health, and research the conditions and life that live there. They can work in research, conservation, management and many other areas. In the past, humans drained wetlands to make way for prime farmland. 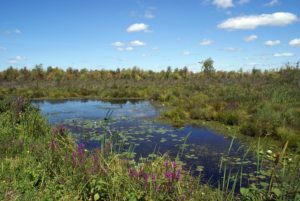 Today in these ecologically sensitive times, conservation groups are doing all they can to maintain existing wetlands. There is also a push to create artificial wetlands for species (both animal and plant) conservation, monitoring and the wider academic study. Wetlands designers are at the forefront of ecological engineering in maintaining existing wetland spaces and in creating new ones. There are many different kinds of scientists and wildlife workers at the front lines of species protection. But just like any business or institution, wildlife organizations can't function without the managers and administrators who plan and coordinate their activities. Wildlife administrators craft policies and set an organization's tone. They do the budgeting, analysis, and planning necessary to get conservation projects off the ground. They also assess plan effectiveness and make adjustments to ensure success. Habitat loss and degradation are some of the most pressing challenges facing wildlife. Across the Western United States, invasive grasses are infiltrating rangelands, increasing the risk of wildfire. Climate change threatens the sage grouse and other species. Overwhelmed state and federal agencies, along with some concerned landowners, have turned to wildlife consultants for help. Wildlife consultants use their scientific expertise to improve habitat and manage the health of wildlife populations. These wildlife biologists provide services to public land and wildlife agencies. They also create management plans for landowners who want to integrate wildlife tourism into their operations. 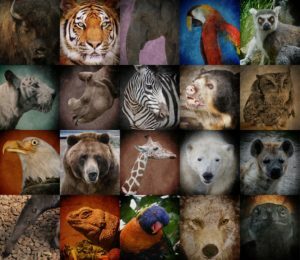 Illegal trade in wildlife and wildlife products is a major threat to protected species worldwide. The black market for animals and animal products is worth more than $2.8 billion annually, according to the U.S. Fish and Wildlife Service. The illegal pet trade in the United States is a major part of this market; many prohibited animals such as exotic reptiles, tropical fish, and even primates are shipped to the U.S. each year. There is also a large market for leather boots, purses, and jewelry made from exotic animals. Wildlife forensic specialists examine evidence from wildlife-related crimes in an attempt to prosecute suspects. 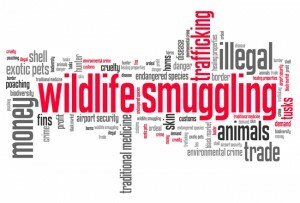 Illegal trafficking in wild animals and animal parts is a multi-billion dollar global industry. Belief in the curative powers of elephant tusks, rhino horns, and other animal parts – particularly in Asia - has made poaching a big business. Smuggling of live wild animals for the illegal pet trade is a larger problem in other parts of the world, such as the United States. Leather goods, trophies, jewelry, and other items are also shipped around the world each year. Wildlife inspectors are the knowledgeable and dedicated government officials who monitor international shipments for contraband wildlife and wildlife products. Wildlife inspectors work to disrupt the illegal wildlife trade to make it less profitable and attractive to criminals. 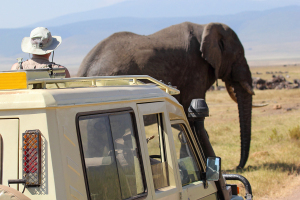 A career as a wildlife manager is one of the careers most directly related with conservation of biodiversity. At present, the Earth is experiencing massive species die-off at rates unseen since over 50 million years ago. The wildlife manager is tasked with the job of understanding the complex interactions of a particular ecosystem (often in conjunction with an ecologist), and developing a management plan to help maintain the levels of biodiversity and healthy quality of that ecosystem. Essentially, they work to balance the needs of humans and wildlife. Some of the common duties of a wildlife manager are to maintain populations of species at their appropriate, natural levels. This includes both the support of threatened or endangered species, as well as the reduction of nuisance animals that may be out-competing others. 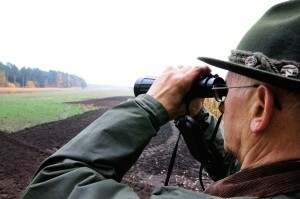 Hunting regulations and management are often under the control of a wildlife manager, as well as the responsibility of educating the public and developing ecotourism. Most wildlife managers work in publicly owned lands, typically at the national or state level. 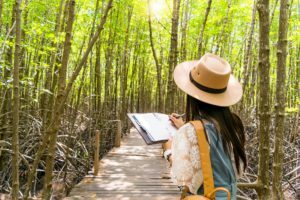 While a career as a wildlife manager can be arrived at from a variety of different pathways, degrees in biology, ecology, mammalogy, ichthyology (study of fish), or zoology are most helpful. Individuals that enjoy working outdoors in challenging environments and working with clients across a spread of interests and values will be best suited to careers as wildlife managers. Are you an avid fisherman or hunter? Donning a tie in a dreary climate-controlled office not your style? If you enjoy hunting and fishing, you can make helping fellow hunters and fishermen your career – not just a hobby. Still, fish and game regulations are ultimately put in place for the benefit of wildlife. Wildlife officers help enforce these regulations and balance multiple uses of public recreation areas to maintain healthy populations and benefit both humans and wildlife. Wolf biologists are a type of wildlife biologist that examine wolves. This endangered species is much maligned but a vital part of the ecosystem in many parts of the world. Wolf biologists examine the life cycle, genetics, habits, evolution and social systems of wolves in their natural environment and captivity. In many places around the world, these animals are subject to protection laws. 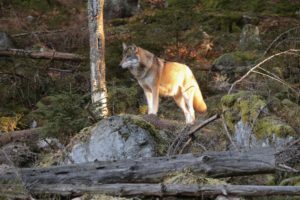 Wolf biologists may also be involved in consultation in their protection.